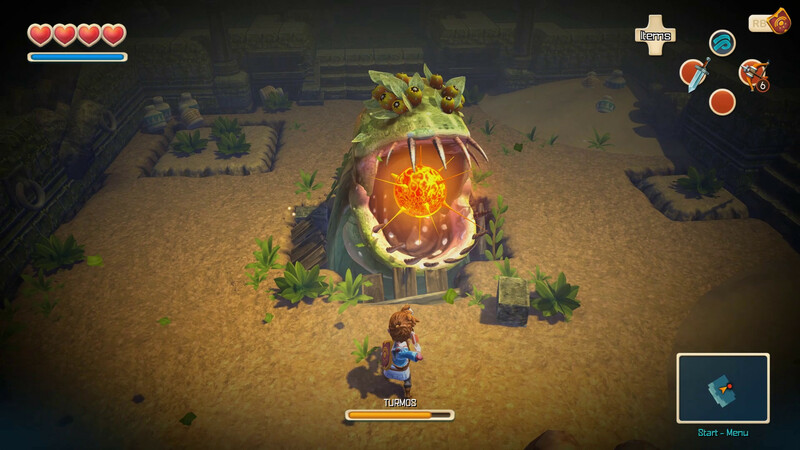 Oceanhorn: Monster of Unchartered Waters is one of those games I was interested in as soon as I started hearing about it. It was trying to be the Legend of Zelda for mobile devices. Whether it succeeded in that quest of not, it has now come to PC. Is this a case of developers overachieving, or is it really a Zelda-level experience? Let’s dig in. The first thing you’ll notice is that Oceanhorn takes place on an isometric plane. That doesn’t seem like a bad thing at first. After all, it’s just trying to evoke the style of the classic 2D games while being different. 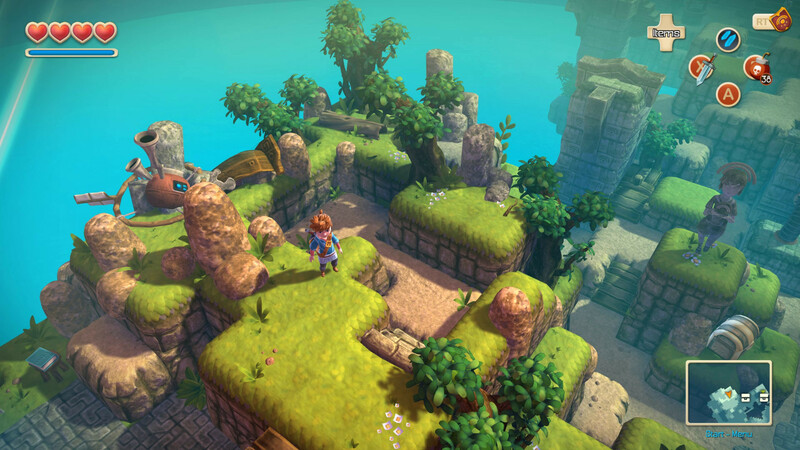 But isometric games usually have one big problem, and Oceanhorn is no exception: part of the environment is hidden from the player. Depending on the design, this may not be a huge problem. As long as you don’t put anything important in those areas that the player cannot see, the isometric perspective works just fine. And that’s not what Oceanhorn does. I’m fine with easter eggs and secrets being hidden with that perspective, but not paths necessary for progression. It just turns everything into a frustrating slog as you look for something in the environment that you couldn’t actually see. And if that were the only thing frustrating about Oceanhorn, I wouldn’t be so hard on it. But, honestly, the puzzles in this game aren’t challenging. They’re not obstacles, they’re speed bumps. I don’t get any satisfaction out of solving them. If you’re going to make a Zelda game, it’s important to remember that the series is built on interesting combat and mind-bending puzzles that make use of tools you acquire along the way. To get one part of it so completely wrong isn’t a good place to start. So, what about the combat? It’s functional. Not particularly interesting, but functional. It’s basically like a 2D Zelda game: enemies can be attacked from any side. I do wish there were a lock-on function like there is in the 3D Zelda games, but that’s just a minor complaint. Like I said, it works fine, it’s just nothing we haven’t seen in games like this before. 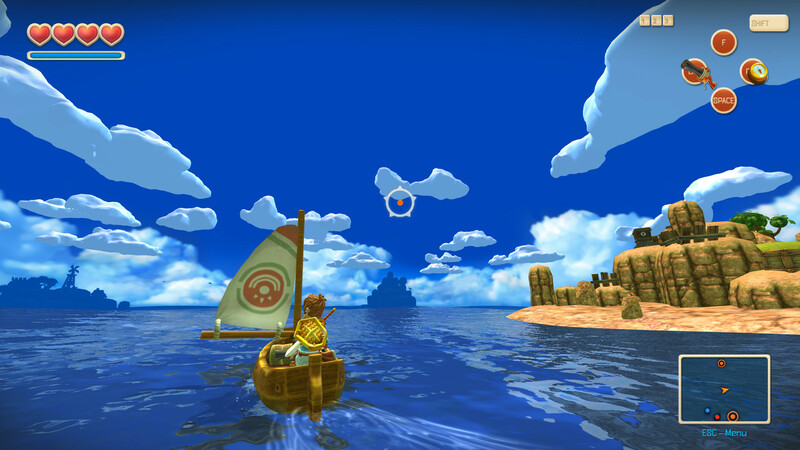 Once the game gets going, you quickly find that the Zelda game Oceanhorn most takes inspiration from is Wind Waker. Now that’s not a bad thing, as Wind Waker is my favorite Zelda game. It has a sense of child-like wonder of exploration that just isn’t in other games. But a big ocean wasn’t what made Wind Waker what it was. It was a total sum of its parts with beautiful graphics, an amazing soundtrack and solid gameplay. But the ocean is what Oceanhorn borrows from it, and it’s even more boring than Wind Waker’s. The first time you head to sea, there’s absolutely nothing to do, and the trip lasts for a full minute. There are attempts to make it more interesting as the game goes on, but, rather than steering the ship yourself, you just select the island you want to travel to, and watch the sequence go along on its own. I’d rather it just be a menu, it’s that boring. The bosses are… OK. I’m not of the mind that bosses are supposed to be a “final exam” of everything the player has learned thus far. I’m more of the mind that, if you’re going to think of a game like a class, a boss should be a test of the basic skills of the game, with a fusion of what the player just learned thrown in. That’s more or less what Oceanhorn does, which shouldn’t be surprising given the game’s Zelda inspirations. You’ll use basic sword skills and whatever item you’ve obtained in the dungeon. They serve their purpose of ensuring the player knows how to use the items they’ve been given, but they aren’t much of a challenge. You might be wondering how it controls, given that it used to be a mobile game. Honestly, it controls like I’d imagine The Legend of Zelda: A Link Between Worlds would control on an Xbox controller. The controls work quite well, to the point that I wondered how it controlled on mobile. You’ve got two buttons for tools, one for a dash, one at the ready for a shield, and, of course, the basic sword swing. Like I said, they are exactly what they need to be. I’m actually somewhat interested to see how they worked on mobile now. As said, I reviewed the PC version, and getting it to run well was impossible. Yes, it’s entirely possible that my computer is old and needs to be replaced (fact is, it actually did die not too long ago), but I still fit within the system requirements. I turned the graphics down to their lowest settings and turned the resolution down to the lowest level. It barely helped, and the game couldn’t keep up with even a playable frame rate. There were numerous glitches that let me move through what should have been solid objects. It just was not a pleasant experience all around. Sure, I need to update my PC, but I should still be able to expect that games with system requirements that supposedly fit my PC should run at a reasonable frame rate. The graphics actually look really nice in the screenshots, and the music is enjoyable. It sounds like something you might hear in a Zelda game, but just a little bit off; to remind you it’s different. I like it a lot. And the voice acting is actually pretty good. I just wish the frame rate was better. So, is Oceanhorn a bad game? No, not really. It’s just really bland for a title that was hailed as the Zelda of mobile devices. Nothing in the game’s ten hours really caught my attention. So, maybe on the off chance you have no back log, and you find this one sale on Steam, you can give it a go if you love Zelda games. Just don’t expect it to mean anything after you put it down for the final time. 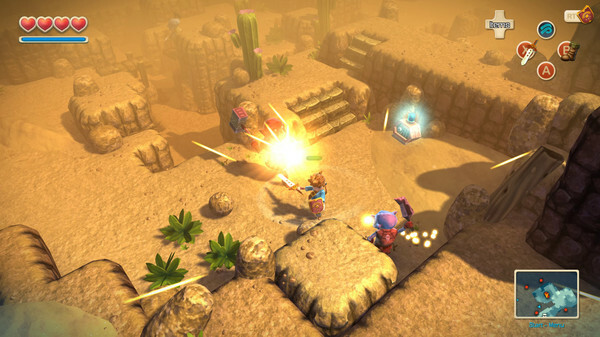 Review copy provided by publisher, and is based on the PC version of the game.